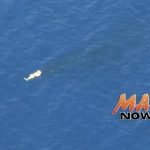 The Lāna‘i Chamber of Commerce has announced the cancellation of the December 30th Fifth Friday Town Party due to potential public safety concerns related to wind conditions in Dole Park where the event is held, and possible wind conditions in the harbor that may affect the safe operation of the late return ferry to Maui. 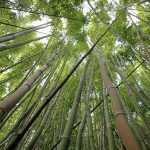 Refunds are being processed for all bookings for the package, as well as reservations made directly with Expeditions. For more information on Friday Town Parties throughout Maui County, visit www.mauifridays.com. 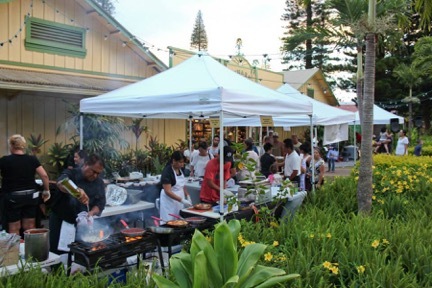 The Lāna‘i Chamber of Commerce in cooperation with Coalition for a Drug free Lāna‘i and with the support of the Mayor’s Office of Economic Development, will holding its 11th Fifth Friday Event. 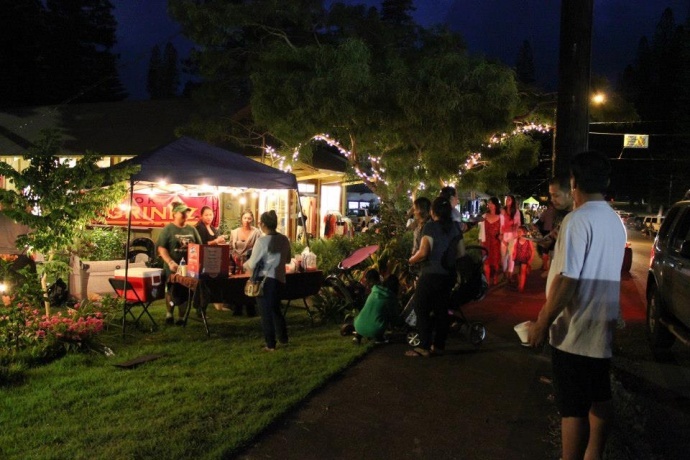 The Lāna‘i Chamber of Commerce urges Maui residents and visitors to support Lāna‘i businesses by attending the upcoming 5th Friday Town Party in Lāna‘i City on Dec. 30, 2016. To accommodate the special Friday event, the OED has teamed up with Expeditions Ferry and the Lāna‘i Chamber of Commerce to provide round-trip ferry and ground transportation between Maui and Lāna‘i, including a special late-night ferry that departs Mānele Harbor at 9:45 p.m. Expeditions’ last ferry to Maui on a regular day is at 6:45 p.m. This 5th Friday Lāna‘i Package includes a round-trip ferry ride between Lahaina Harbor and Mānele Harbor, round-trip ground transportation between Mānele Harbor and Lāna‘i City, and an event passport. Visiting participating business and collecting stamps for the passport gains entry into a free prize drawing. Details can be found at www.fifthfridaylanai.com. Residents and visitors can choose to depart from Lahaina on the Expeditions ferry at 9:15 a.m., 12:45 p.m. or 3:15 p.m.; however, the return from Mānele Harbor is limited to 9:45 p.m. only. The cost for the package is $60 per adult and $50 per child and can be booked at http://goo.gl/dGb43S. A discounted price is also available for kama‘āina who already have a ticket booklet from Expeditions; please visit the above website for more details. The Friday Town Party event, which runs from 5:30-8:00 p.m., will feature over 30 vendors and participants. There will be food booths and restaurants serving up special local favorites as well as several music and entertainment venues. “We look forward to welcoming you on Lāna‘i for Fifth Friday and hope that you will rediscover small town Hawai‘i. Please share with your friends that Lāna‘i Small Businesses are OPEN and that each additional day visitor to Lāna‘i makes a huge positive impact on the local small and micro businesses” said Brad Bunn, Chair of the Lāna‘i Chamber of Commerce. For more information on Friday Town Parties throughout Maui County, visit www.mauifridays.com. 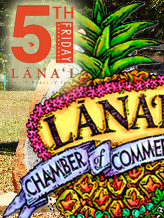 For more information on the Lāna‘i Chamber of Commerce visit www.lanaichamber.com.